Where do you go on weekends when you need a quick lunch near your community of Austin apartments? With so many places on the east side to choose from, it can be hard to decide where to spend your hard earned money. That’s where we come in. In the blog post below, we’ll be telling our residents about some of the best lunch spots in the neighborhood. This part of Austin has upscale eateries, low-key lunch spots and everything in between. 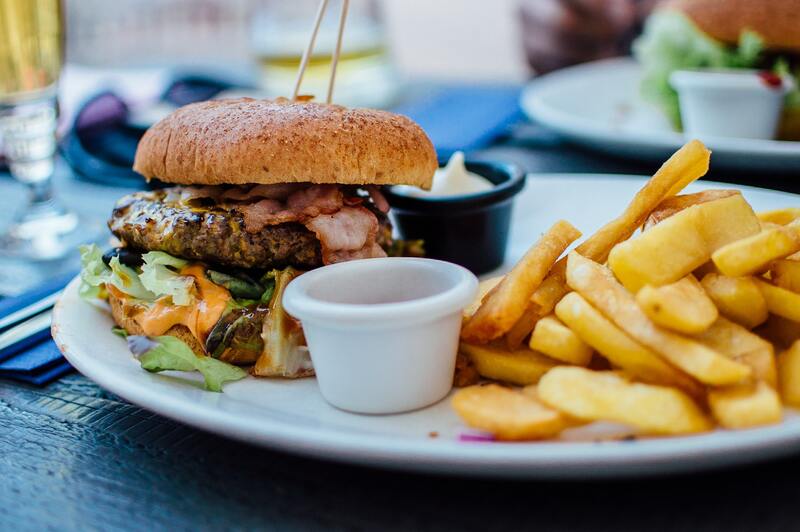 Keep that in mind when looking through this week’s post, and be sure to bookmark some of the restaurant websites so you can look through the menus next time you get hungry! Without further ado, let’s get right to the list of the best lunch spots on the east side of Austin! When you finish reading through this week’s blog post, please feel free to share the link to this page with your friends. Better yet, go ahead and share it with your neighbors at Corazon — the apartments Austin residents choose for luxury living on the east side! The first thing you need to do when you get to Gabriela’s is place an order for the choriqueso. This bowl of queso is filled with spicy chorizo, and it's so good you’ll have a hard time resisting the urge to lick the bowl. When you get done with your appetizer, be sure to try some of the super authentic tacos and Mexican street corn. If you’re going to have a beverage with your lunch, you can’t go wrong with one of Gabriela’s micheladas. You can’t go wrong with an Italian sandwich shop for lunch. La Matta has huge sandwiches, some of the best charcuterie boards in town and all the extra toppings that make Italian sandwiches so good. Give this place a shot and be sure to grab a couple of glasses of wine while you’re there! Truffle fries, anyone? This lunch spot has the perfect name because the burgers are small but thick. The buns might be smaller than the ones you’d normally get with a burger, but the burgers are also piled high with toppings. This fast casual spot is just a few steps from Corazon, so check it out next time you need a fast, affordable burger for lunch! Those are all the lunch spots we’ve got to share with you this week, residents! At this time, we’d like to thank those of you who have been coming back month after month to read every new blog coming from our apartment community in East Austin. We’ll be back in a couple of weeks with another brand new blog post, so we hope you’ll come back to read it! More than that, however, we hope that you’ll be able to check out some of the amazing blog lunch spots that East Austin has to offer its residents. We’ll be back with another blog at the end of January! If you enjoyed reading through this week’s post so much that you want to see the next one right when it goes live on our website, we encourage you to bookmark our blog page. After all, there’s no faster or easier way to guarantee that you’re always able to enjoy easy access to future posts when they go up on the site. In the time between now and when our next post goes live, you can stay informed about upcoming resident events and promotional giveaways by following Corazon on social media! That’s the best way to keep up with everything happening at your community of apartments in East Austin.